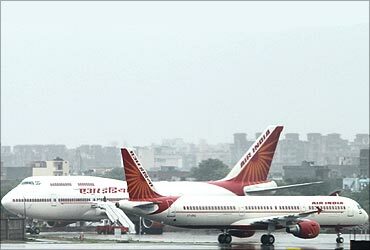 The Comptroller and Auditor General (CAG) is understood to have questioned the government's reasoning to order 111 planes for Air India for almost Rs 50,000 crore (Rs 500 billion) in 2006 and also why the Maintenance, Repair and Overhaul (MRO) facility, which is part of the offset clause, is yet to come up. 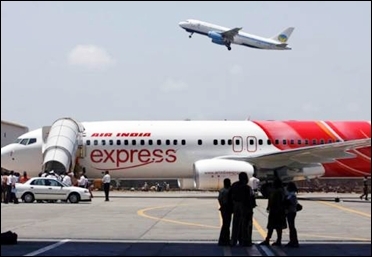 Image: An Air India Express Boeing 737-800. European aircraft manufacturer Airbus was to set up the MRO as part of the offset obligation for the erstwhile Indian Airlines' Rs 9,890-crore (Rs 98.90 billion) 43-aircraft acquisition proposal. While all the 43 Airbus aircraft ordered by the erstwhile Indian Airlines have been delivered, 40 of the 68 Boeing planes have been inducted in the fleet. 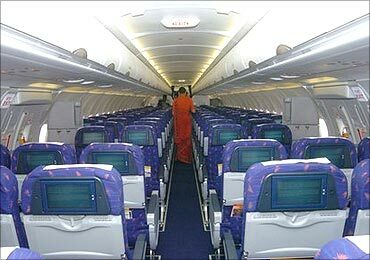 The list price of each of the Airbus A-320 family of aircraft and 68 Boeing planes ranges between $37.34 million and $143 million. 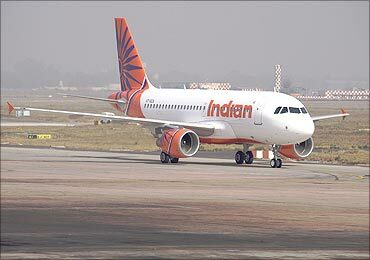 The CAG is believed to have asked the airline and the government whether they could justify the massive order through a detailed business plan and give the reasons behind Air India's dwindling market share, which has brought down its position to fourth, lower than the no-frill carrier IndiGo, Jet Airways and Kingfisher. The government and the carrier have already sent their response to the CAG. 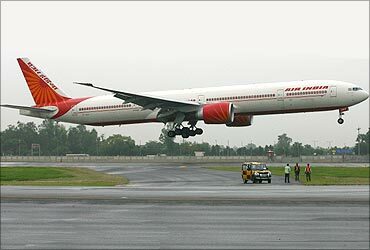 Being a state-owned enterprise, the finances of Air India are audited by the CAG. In response, the civil aviation ministry is understood to have said the ageing fleet was the prime reason for placing a big order as competing airlines were taking away passengers through their new and young fleet. On the MRO issue, the ministry is believed to have responded by saying the work was in progress. The CAG is understood to have asked why the number of aircraft ordered by the airline was increased to 50 when the government was earlier planning to take 35 on firm orders and had the option of taking another 15 at a later date. 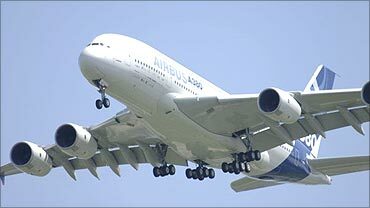 It has also sought the government's response on why a bridge loan was taken to finance the aircraft deal. 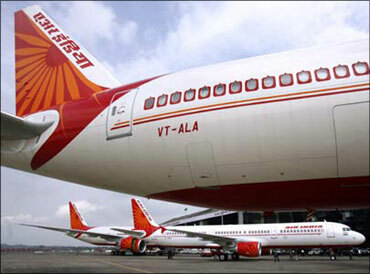 The interim CAG report, to be tabled in Parliament soon, is also said to have raised questions on the rationale behind the merger process between Air India and Indian Airlines and talked about the poor financial performance of the merged company. Since its merger in 2007, Air India's decisions have come under scathing attack from two parliamentary panels - the Committee on Public Undertakings and the Standing Committee on Transport, Tourism and Culture.